Ideally speaking, wedding templates is one of the kinds where in designers going for the maximum customizations and personified design patterns. These templates are mostly used for managing the entire operational aspects of a typical wedding – be it the invitation, or the seating arrangements, budgeting and so on. These templates are mostly designed as per the need of the customer. For example, invitation templates are mostly PSD images well crafted where as budgeting and other contract templates take the form of Microsoft Excel. 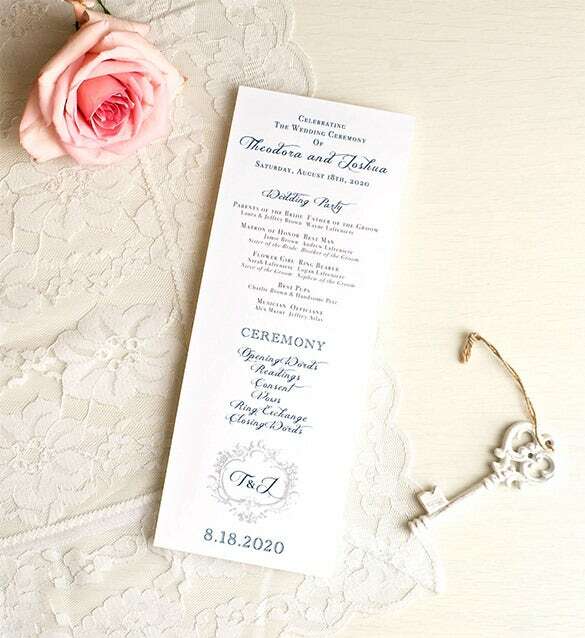 Invitation card or templates for weddings are the most sought for and the most cared aspect of the wedding plan. These templates are actually distributed among friends and relatives and they do cast a lot of impression on the marriage ceremony. 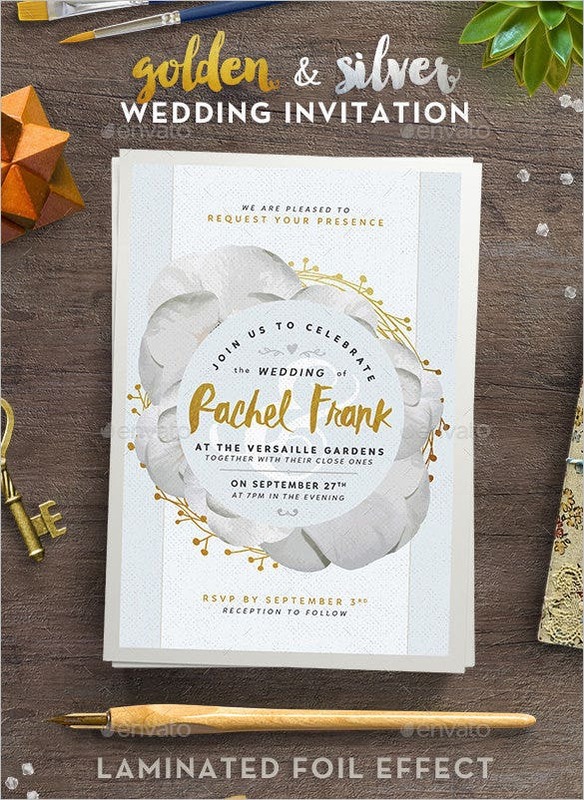 These invitation templates are designed artistically depending upon the demography of the subject, and is crafted in PSD images. As per different castes and religion, the marriage ceremonies are different. 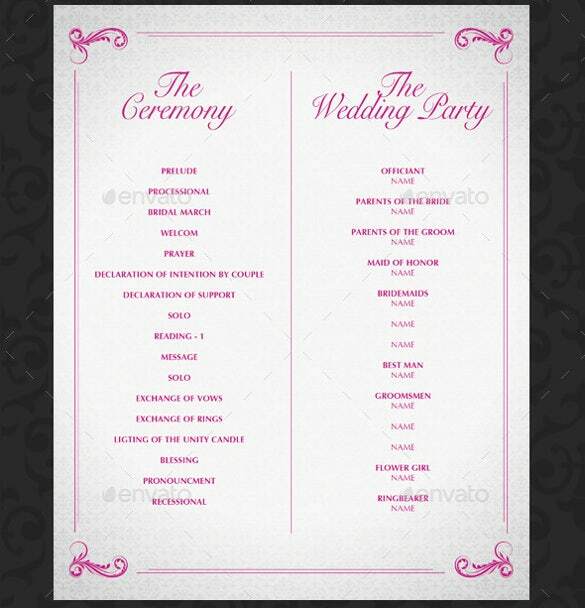 Therefore, the wedding programme templates required a lot of customization depending upon the user. 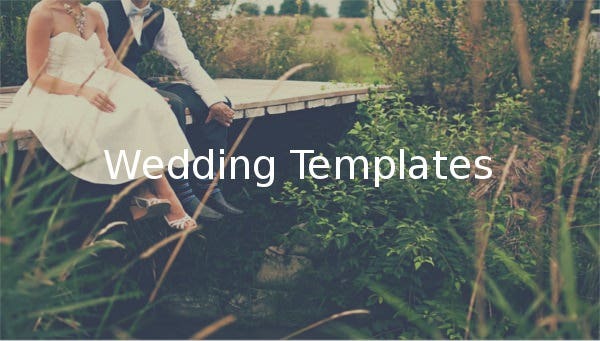 These templates are mostly used to plan a wedding depending on the ceremonies to be carried out in a specific order and the other arrangements related to the same. 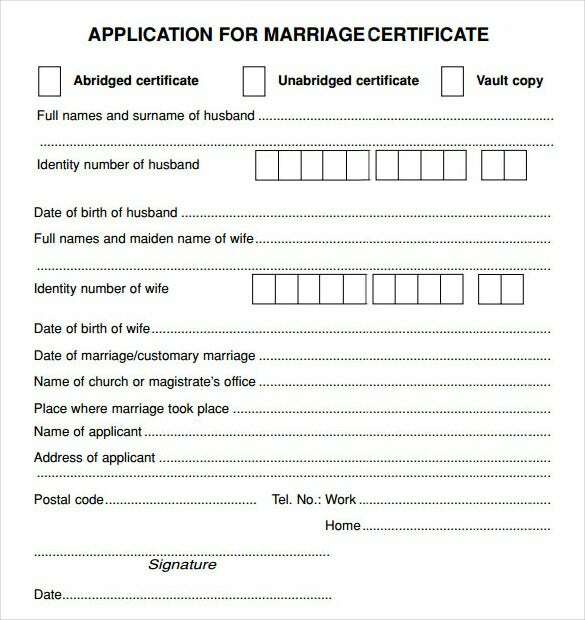 These can be in the form of Microsoft Word or excel. 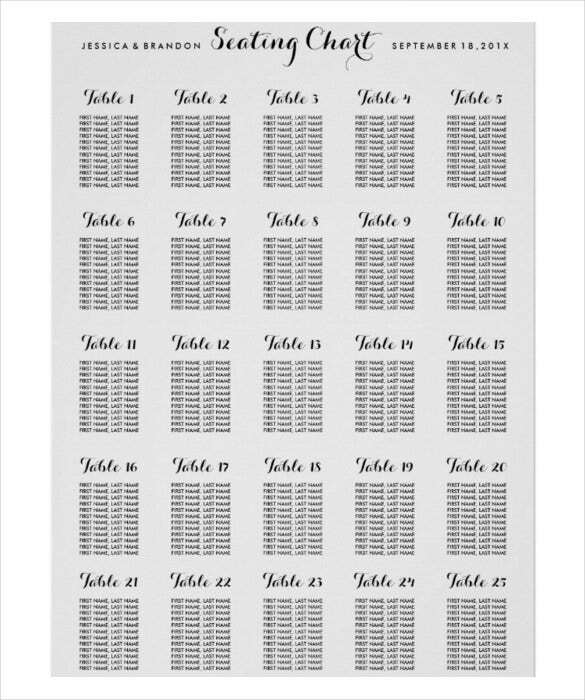 Seating charts for wedding mostly deals with the arrangement of guests in terms of table numbers or more specific details pertaining to the placement of the guests. These templates mostly designed in Microsoft Excel format, are mostly used in posh wedding ceremonies where in dignified personalities or celebrities are invited. The menu template is mostly used during the marriage party or reception. This contains the cuisines or the food items which has been served for the guests in the correct order – starters followed by main course and then desserts. These templates are designed using PSD images with stylish and attractive images of the delicacies. Itinerary is nothing but the to-dos for the day. The wedding itinerary is mostly used to jot down the key activities which have been lined up the day in the chronological order. These templates mostly in the form of Microsoft Word are actually used as cheat sheets by organizers in order to ensure that no activities are skipped. 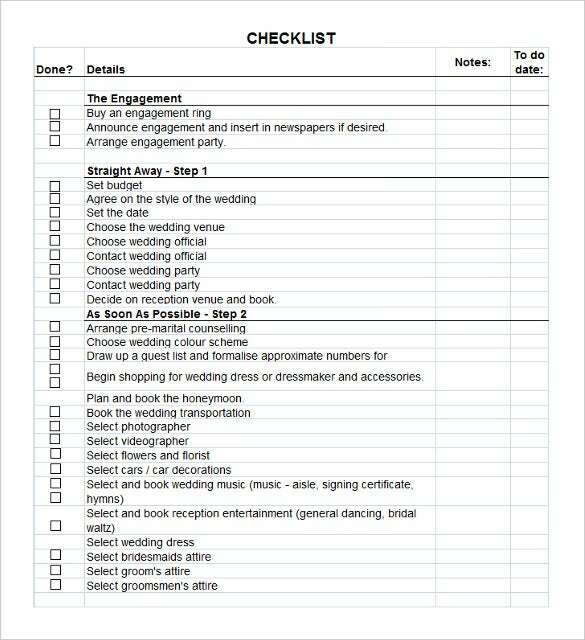 Checklist, as the name suggests, contains all the necessary items which needs to be in place for the wedding to be successful. 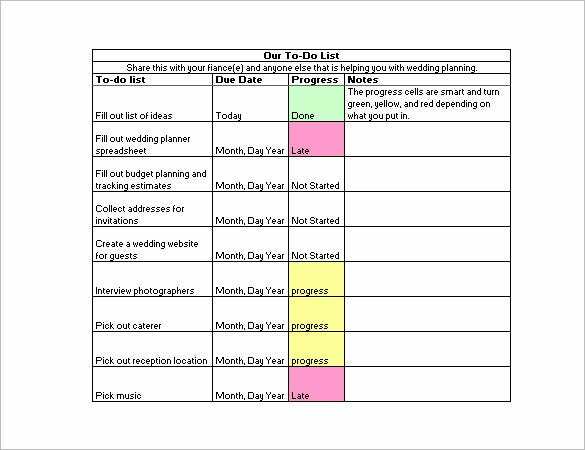 These wedding checklists templates are either designed using Microsoft Word or Microsoft Excel so that it enables the users to tick off the tasks completed and prioritize the pending tasks accordingly. Wedding budget templates mostly takes the form of a Microsoft Excel with all the cost heads mentioned in a systematic manner along with the individual costs. 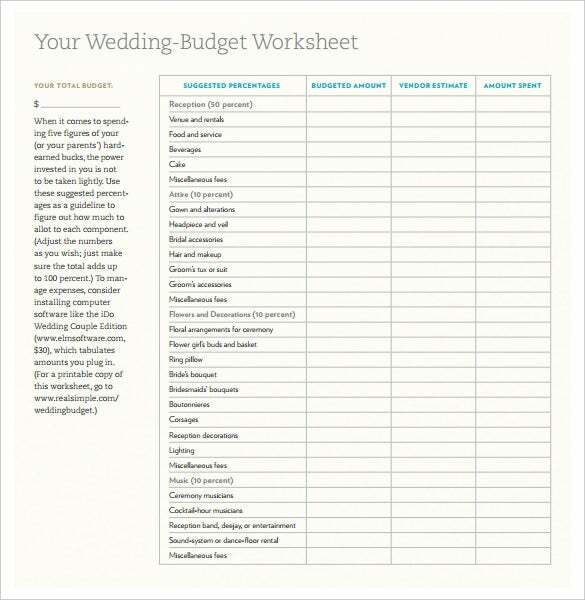 These templates help plan and prioritize activities based on the total expenditure incurred and the maximum budget allocated for wedding ceremony. 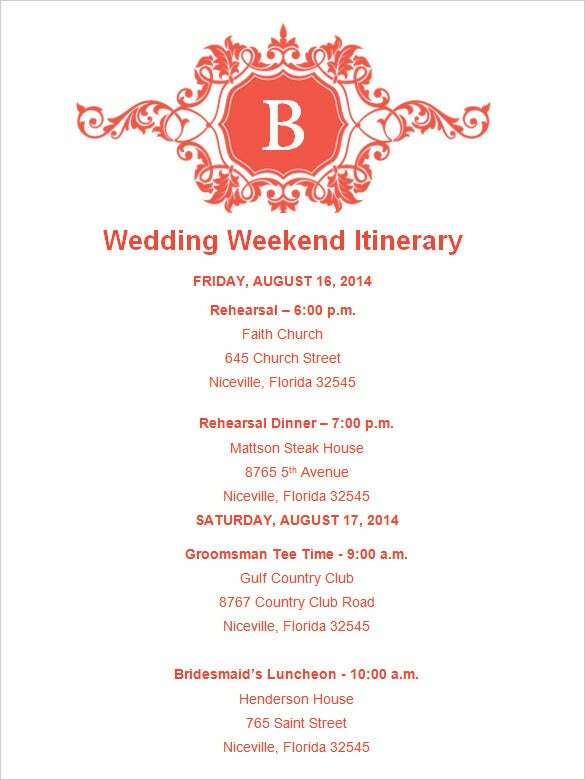 These calculations help users plan out the number of invitations, wedding menu and so on. The wedding ceremony templates are a high level aggregation of tasks and ceremonies which needs to be performed as a part of the wedding. 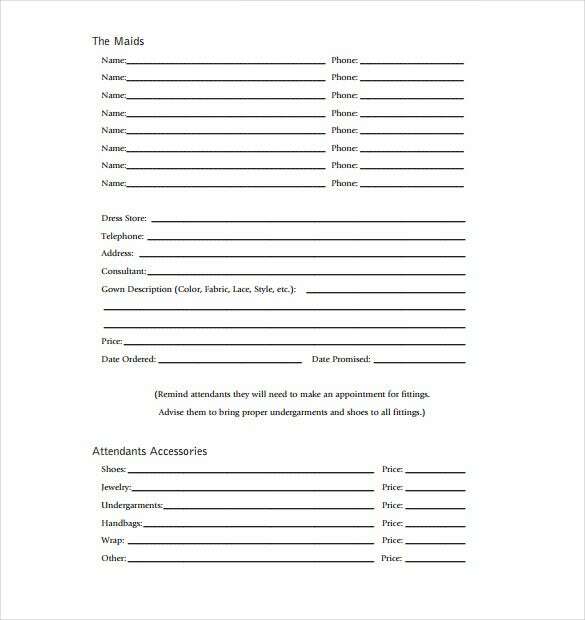 These templates can be used both for tracking purpose as well to distribute among close friends and family so as to request them to be a part of the rituals. The templates can be both Microsoft Excel as well as PSD image. Photography and wedding videos are mostly outsourced to specialized contractors who excel in marriage photography. These contracts are designed and agreed upon on legal templates containing the terms & conditions, the cost implications and the product to be delivered. These templates are mostly designed in a PDF format which is, obviously, non editable. 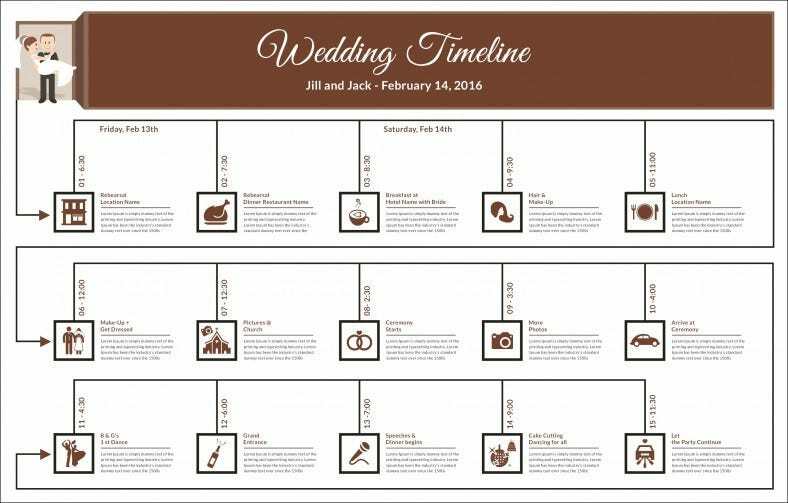 Wedding schedule templates are quite similar to the timelines templates, with the difference being these templates are distributed to the invitees to inform them the timings of the sacred ceremonies so that they could be a part of it. These schedule templates are mostly designed using a PDF format or at times, using Microsoft Excel or PSD image as well. 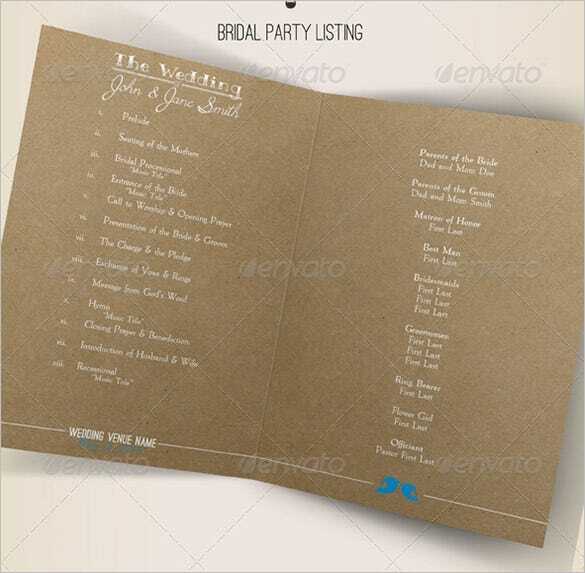 The wedding list template is one of the most exhaustive lists used in marriage ceremonies. These templates contain all the items which would be required for the successful conclusion of the wedding – which includes the garments, jewellery as well as all other items required for the marriage. These are mostly in the form of list created in Word or Excel. The wedding welcome letter is one of the most artistically designed pieces of art for wedding ceremonies. This is the first thing which guest looks at while entering the wedding premises. 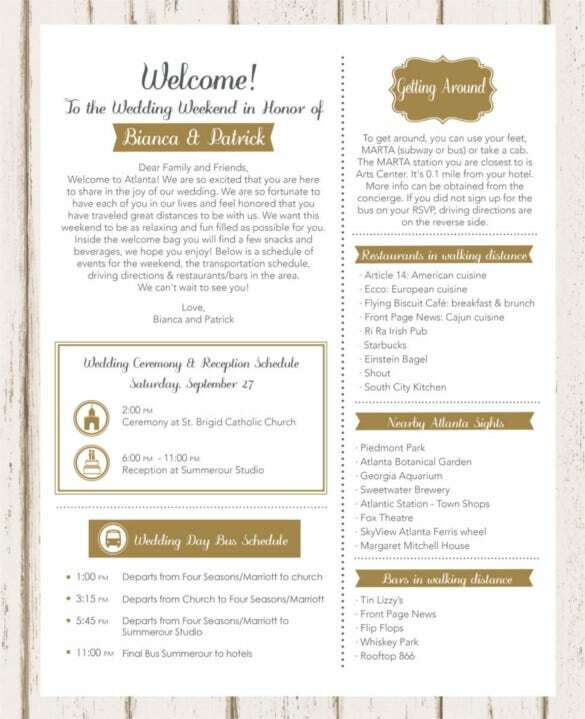 These welcome templates are mostly designed using PSD images along with a theme which ideally should look consistent with the other wedding arrangements. 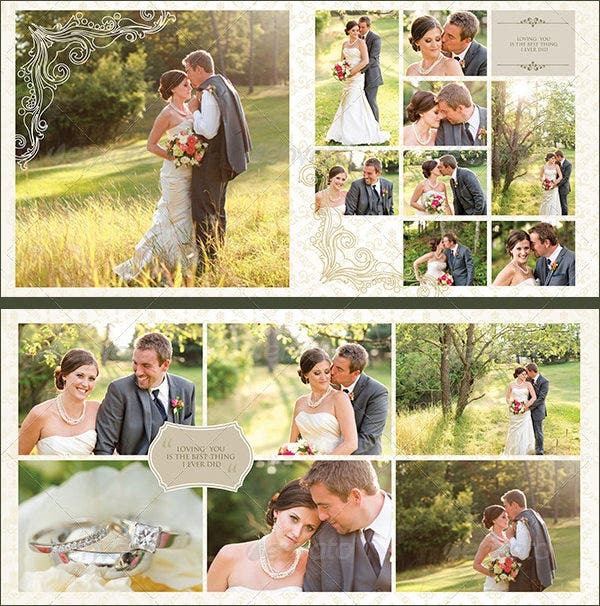 The wedding album templates are mostly used to make sure that the photos of the wedding are captured in the best possible way as these are memories which cherishes for long. In most cases, the photography contractors design these taking into account the preferences of the customer. These templates are crafted out of PSD images. Most of the times, weddings take place in big banquet halls where in different arrangements are made in separate locations. 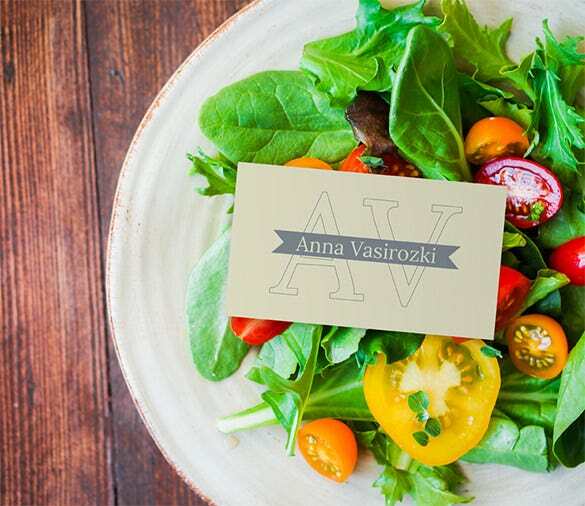 Here comes the need of place cards so that the guests are familiarized with the different arrangements and there is no confusion on this front. These cards are also simple PSD images which are nothing but attractive labels. There are times when the party completely outsources the wedding ceremony to a wedding organizer who in turn takes care of the entire operation including hospitality, food as well as the ritual ceremonies. 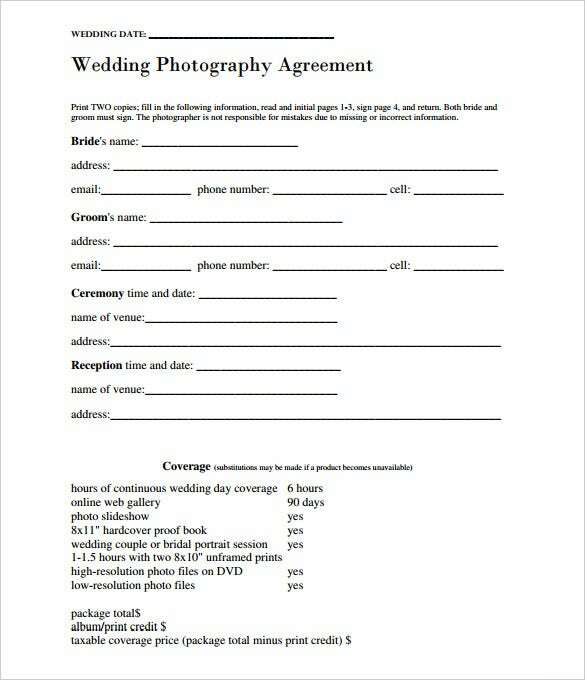 These contract with wedding organizers are more detailed and are prepared in PDF format, printer in a stamp paper and signed by both the parties. Wedding planner templates are quite similar to the wedding ceremony templates; the difference being the former is a more detailed description of the ceremonies as to the people who needs to be present, the timings for the same, location as well as the budget associated with the same. These are designed either using Microsoft Word or Excel. Brochure, as the name suggests, summarizes the entire wedding process mentioning the important ceremonies which needs to be carried out along with the timings and venue for the same. These wedding brochures are mostly distributed 4ramong family and close friends, and therefore designed using attractive PSD imagery and a consistent theme. 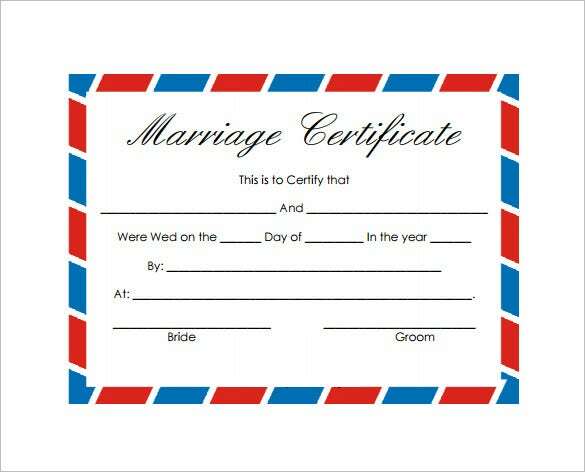 Wedding certificates are legal documents which binds the fact that the two subjects have been legal bonded as married couples. These templates are mostly in the form of a non editable PDF which has been printed on a stamp paper, along with the necessary signatures of the two stake holders and the required authorities.